Do you struggle with focus and memory? Are your problems with concentrations hurting your schoolwork and grades? Do you wish there was an easier way to ace those exams? If you struggle with concentration, don’t worry. You’re not alone. Many students and even accomplished professionals have difficulty studying and retaining new information. The problem isn’t you! It’s the way you’ve been trained to learn. Most students go through school learning that the only way to study is to consume as much information as possible and then try to retain it. Unfortunately, this is a recipe for disaster because your brain wasn’t built to retain information that way. Rather, your brain needs to be receptive to accelerated learning. Your brain’s alpha waves need to be activated to not only comprehend information, but also retain it. In the 1960s and 1970s, psychiatrist Georgi Lozanov did an experiment where he tested the use of rhythmic beats during the studying process. His results were astounding. He found that by listening to rhythmic beats, students could comprehend as much as 30 times more information than they could without the use of beats. What are these rhythmic beats? They’re called BiNaural Beats and they can played in the background while you study or even in conjunction with your favorite music. 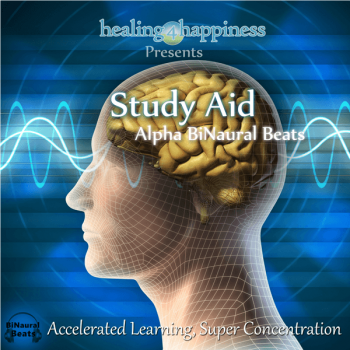 This BiNaural Beat activate your brain’s alpha waves, making the brain more receptive to accelerated learning. That allows you to consume more information and – more importantly – better able to retain that information. Many scientists have proven the super-learning effects of Bi-Naural Beats. 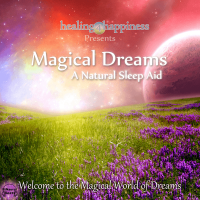 What can you expect from using BiNaural Beats? The best part? You can now get it risk free. We’re offering BiNaural Beats for the low price of $3.99. If it doesn’t work for you in 30 days, we’ll give you your money back. That’s right – it’s risk free! Think about all the other study aids you’ve tried. There’s nothing to lose here. Try BiNaural Beats and see your scores shoot up. 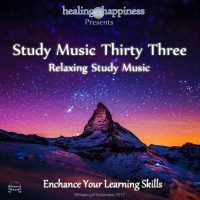 Alpha Wave BiNaural Beats can be played in the background with your favorite study music or alone to gain the benefits of heightened focus and concentration, better memory retention and a better understanding of the subject. Start your usual music then adjust the volume of the Alpha BiNaural Beats so that they are very subtle in the background. You will need to be wearing headphones or have your speakers at least a meter apart, one facing each ear. The frequencies used here are Alpha BiNaural Beats arranged in an 8hz to 12hz sweep. This creates the optimal study aid for super learning, memory retention and mental alertness. Headphones are always recommended for all BiNaural Beats. I had to read about 30 pages of German literature in a few hours. Killed the exam, thanks to this! Thank you this helps my focus so much. I use it to study new concepts or subjects. This is cool! This helped me out a lot. Love this thing! Used this for all of my dental radiology exams in school and it worked wonders. I am now using it again to study for my state dental radiology exams. So happy that I stumbled upon this one day! It is work really well for me, thank you. This helped me pull through the final leg of writing my feature script! It seriously kept me focused for like 12 hours o-o that’s insane as I’m probably on the ADD spectrum somewhere. At anyrate Thank you!!!! I seriously have to give you guys some credit, this was my final assignment before graduation and I couldn’t have done it so painlessly without this. This helped me study for 11 hours straight without feeling tired and I actually did good on my exam! I can’t thank you enough. This is really helpful played behind some normal music, it makes the song not as distracting. This helps me focus longer Despite my ADHD, thanks!